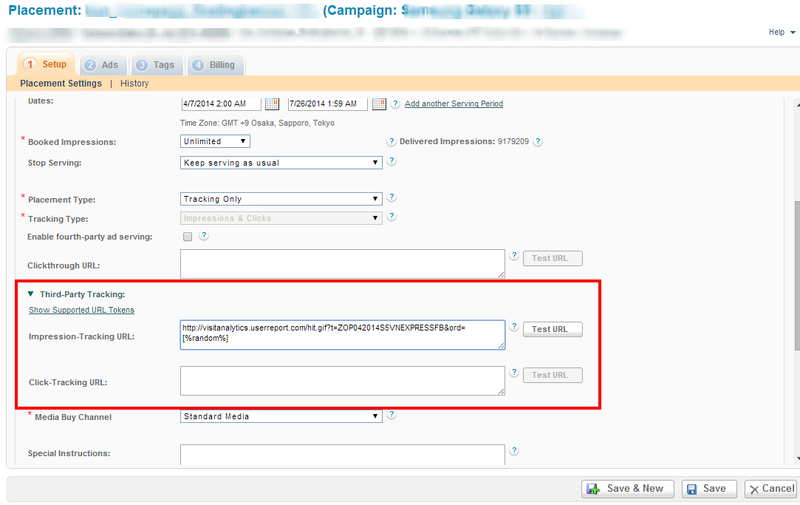 Go to the Ad URLs > Ad URLs & Interactions tab of your campaign. To ensure that you will have enough space to encode the ad interactions, change the Number of tracking URLs (Ad) to 6 (the default option is usually 3). 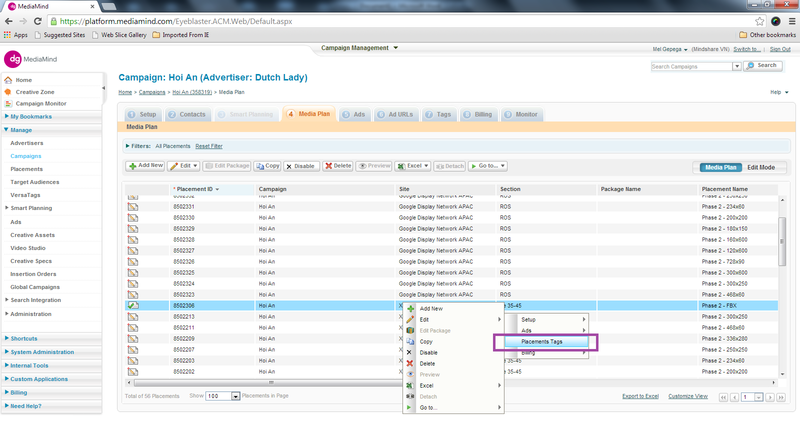 Click on Export and then save the ad interaction sheet on your local machine. 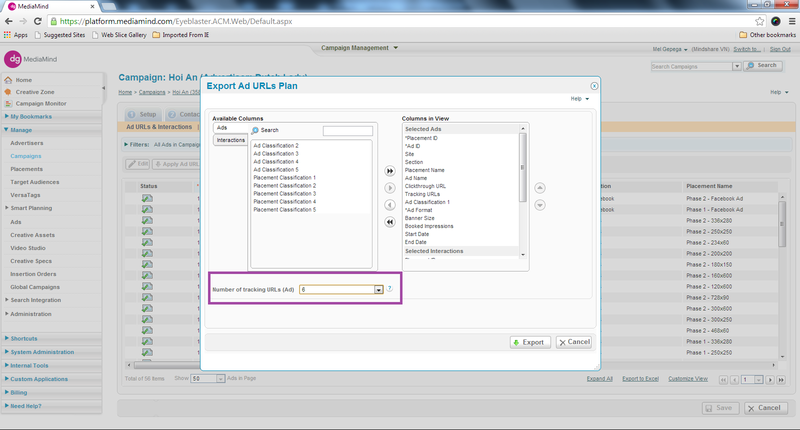 Once saved, open the ad interaction sheet and sort the sites to display GDN placements only. Look for the standard/rich media banners and insert a Tracking Event on the first available space. Note that some ad interactions may already be present as some publishers have implemented their trackers on the placements automatically. Choose Impression Tracking and/or Click Tracking for Tracking Event then insert the Epinion code on the corresponding Tracking URL cell. Save the ad interactions sheet and Import it back to the campaign. 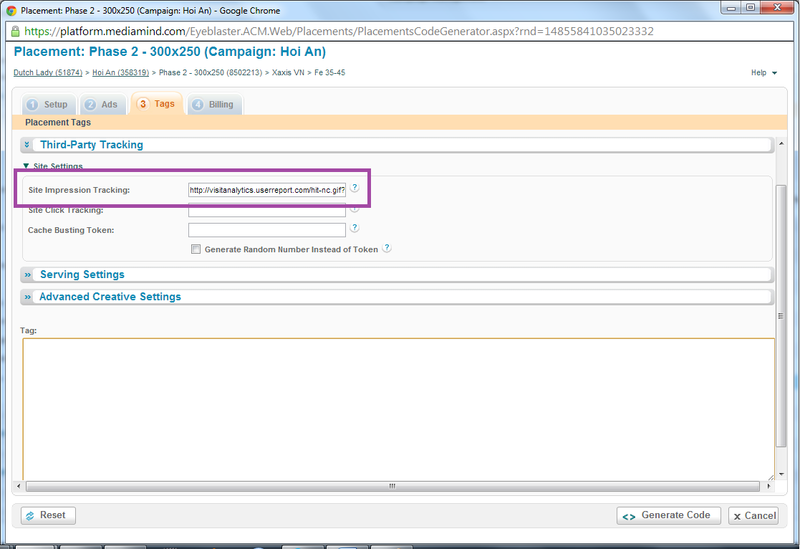 Go to the Media Plan tab of your campaign. 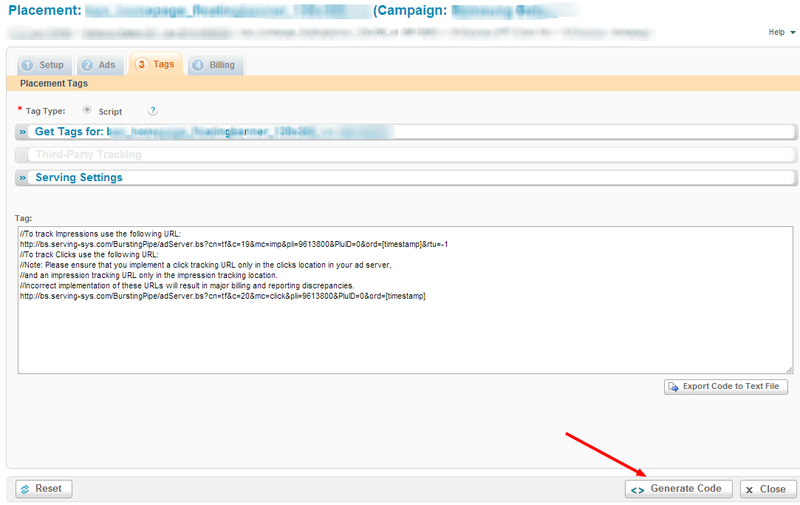 On the popup window for the placement, key in the Epinion code (either impression tracking and/or click tracking). Ensure that the Cache Busting Token: field is blank and the Generate Random Number Instead of Token is unchecked. Click on the Generate Code button. Copy and paste the code to a notepad or a WordPad. 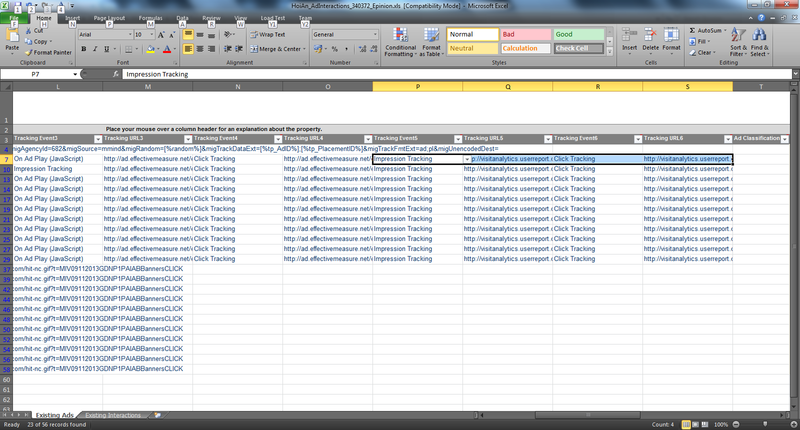 Repeat steps 2 to 5 with the codes, if multiple tags are required for multiple placements. Send compiled codes to respective publisher contacts. 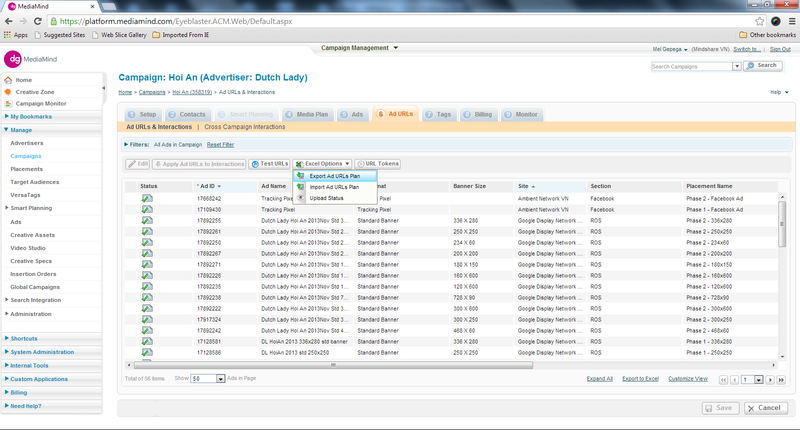 Event tracking in Sizmek/Mediamind this is possible through java scripts or tracking pixels depending on event type. We recommend that you contact the Sizmek support team in case you have questions on how to add the event trackings to the Sizmek adserver. Once the tracking codes have been added and the project is live it is advisable to check if you log data from the events you want to track in AudienceReport system. Which cache buster shall I use for my ad server?